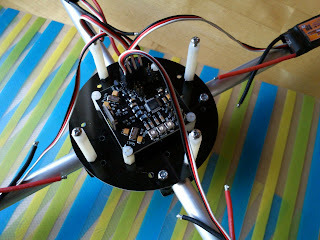 I'm getting all the pieces together for my ever so cheap quadcopter. 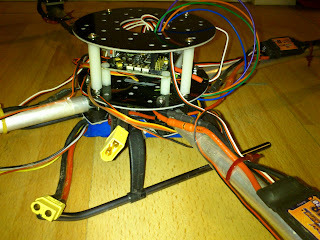 I've been working on a multiwiicopter for some time using components I had laying around. It never got stable enough to stay up. Nothing related to the multiwii design. Everything to do with my bad and quick frame mash-ups. Disadvantages of this frame is that you can only use it in a Quad rotor setup. Other than that I couldn't find any issues. It's cheap if you compare to other frame prices. 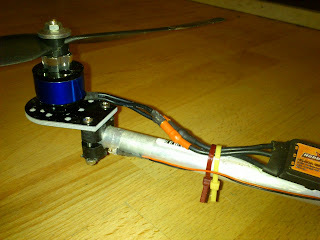 It doesn't include the booms but these are very cheap at for instance hobbyking. The kit takes standard 450 booms of 12mm (or any other 12mm material). 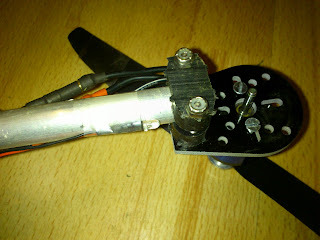 You can choose for square tubes or non pre drilled motor mounts on ordering the kit. 4x HK 450 booms or any other 12mm booms. At HK they are $1,48 per boom with a shipping weight of 50g but the length requires an additional 75g box so total weight would be around 275g which makes shipping $6,90 + 4* $1,48 is a total of just below $13,00 shipped or € 8,50. 1x KKmulticontroller board for $32,64 shipped. The one I linked includes a controller and wires. If you only need the board since you already have a programmer you can go for the cheaper board only option. Search the website I linked. € 23,25 delivered. 4x ESC's, choose any. The cheapest would probably be the HK SS Series 15-18A. Shipped these will cost you around $ 30,60 or € 21,80. Another good choice for slightly more is the Plush series. 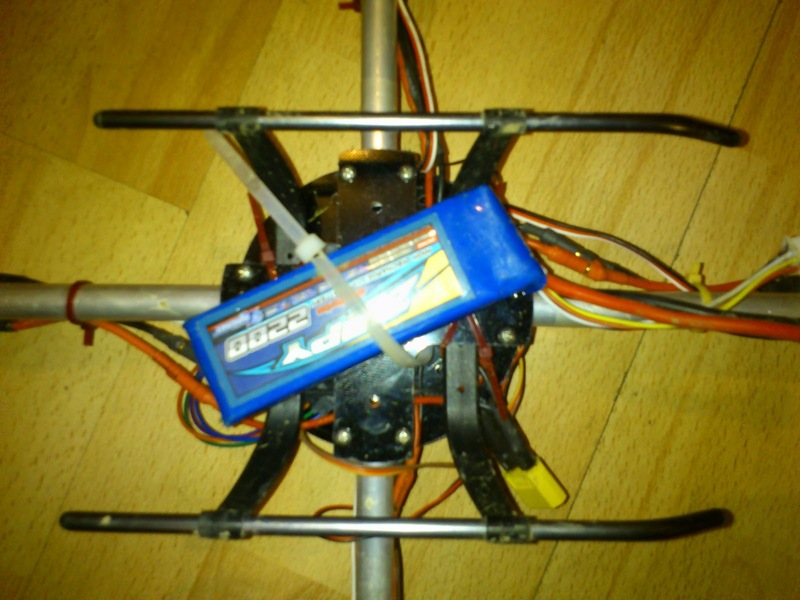 4x motors, choose any. For example the KD 2028M motors form HK. 4 of these shipped is just below $53,00 or € 37,75. Another good choice for not that much more money is the KD 2022L motors. 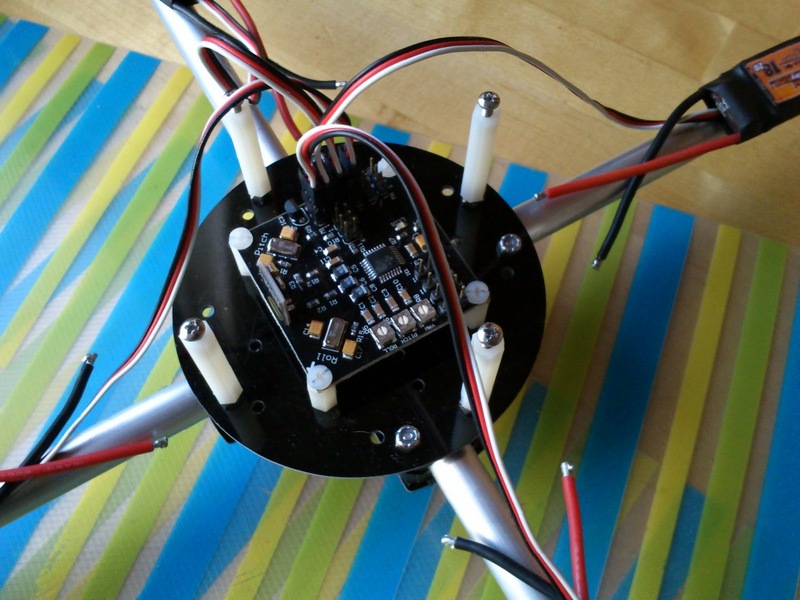 You could get it all a bit cheaper by ordering the motors and esc's and booms all together and safe on shipping. These prices are just a reference. Total so far is: € 121,80!! 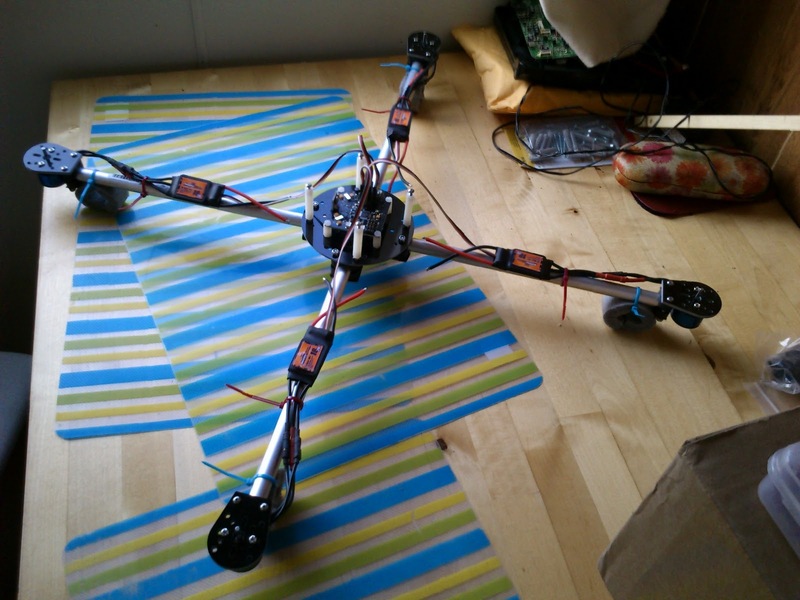 And that is including all the electronics and a complete frame! 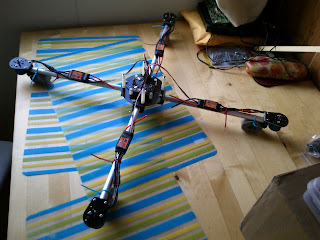 All you need is a charger, some lipo('s) and a tx/rx combo. 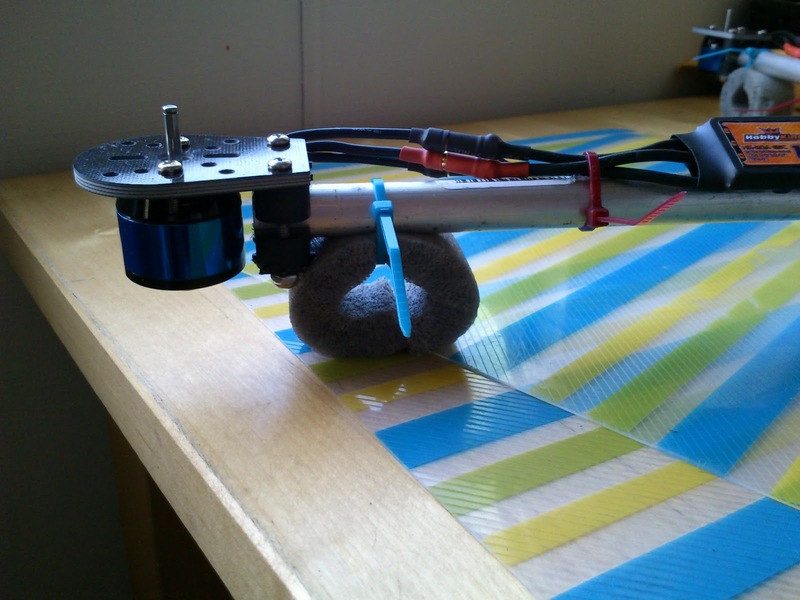 All things any RC guy should already have. If not check the links for some good allround options.